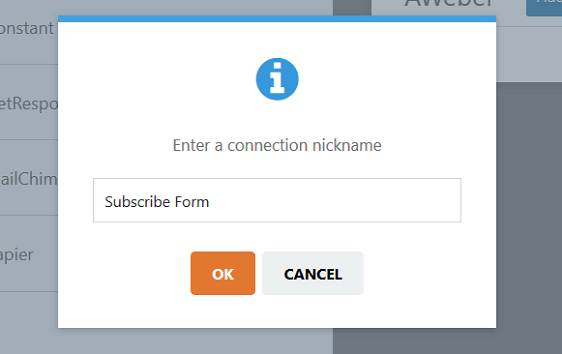 Do you want to connect AWeber with WordPress and add an AWeber subscribe form to your WordPress website? Building a bigger email list is a great way to keep in touch with your followers, promote your business, and build long lasting relationships that will lead to more sales. 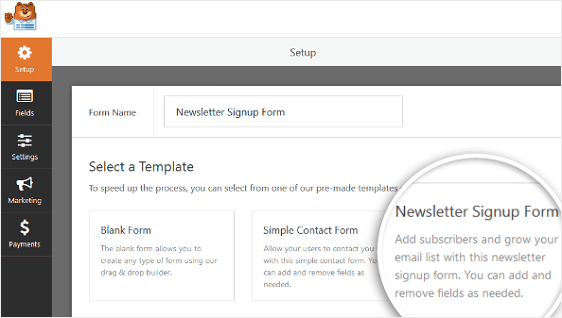 In this article, we’ll show you how to create an AWeber subscribe form in WordPress. Next, go to WPForms » Addons and find the AWeber Addon. Install and activate the AWeber addon. 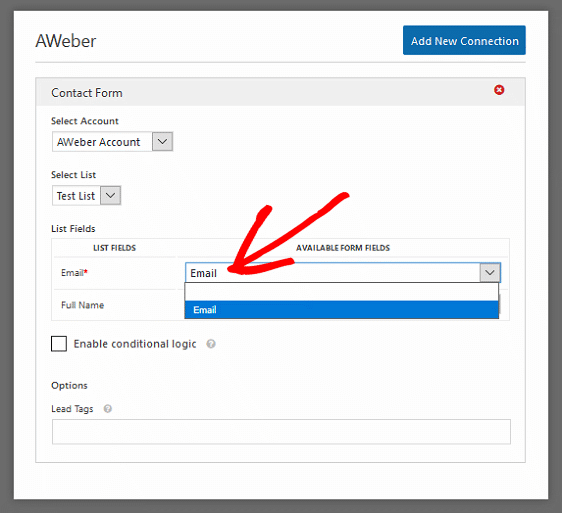 Once your WPForms Aweber addon is active, go to WPForms » Add New to create a new form. You can also click on a form field and drag it to rearrange the order on your AWeber subscribe form. One important form field to consider adding to your AWeber signup form is the GDPR Agreement field. 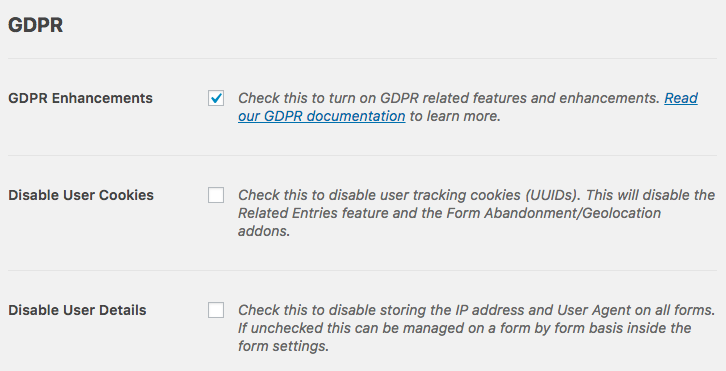 If you do decide to add the GDPR Agreement field to your subscribe form, you’ll need to go to WPForms » Settings and click on the GDPR Enhancements checkbox. Now, we’ll take a look at how to connect your signup form to your newsletter service. 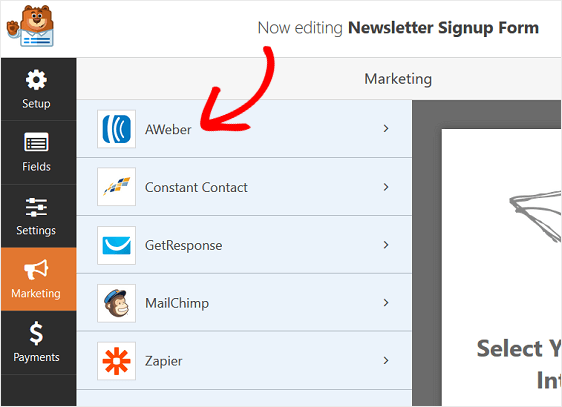 To connect your subscribe form to AWeber, go to Marketing » AWeber. 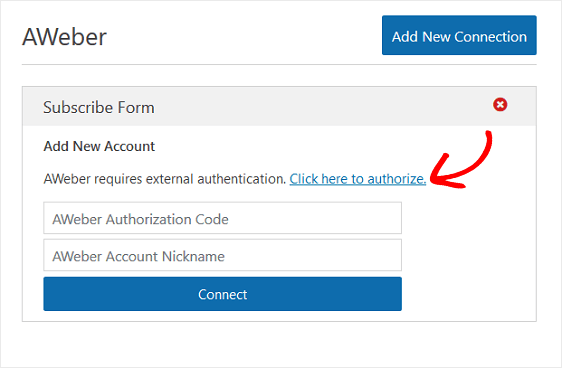 On the next screen, you’ll need to authorize AWeber to connect to WPForms. To do this, click the link labeled Click here to authorize. 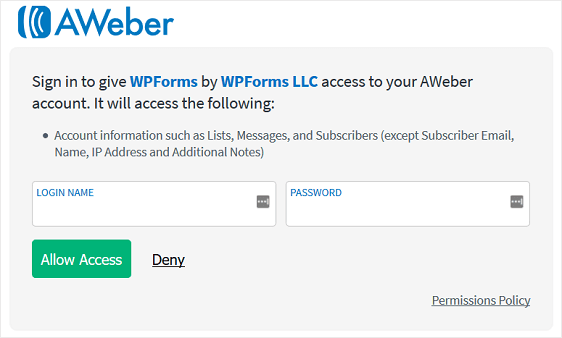 First, you’ll need to log into your AWeber account to give WPForms access and get the authorization code. When you do, your authorization code will pop up. 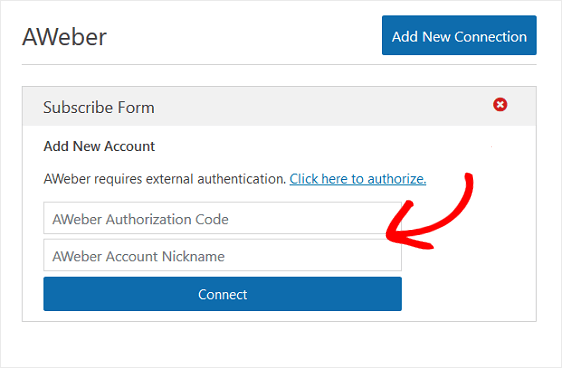 Copy and paste the authorization code into the section labeled AWeber Authorization Code in WPForms. You can also give your account a nickname if you want. 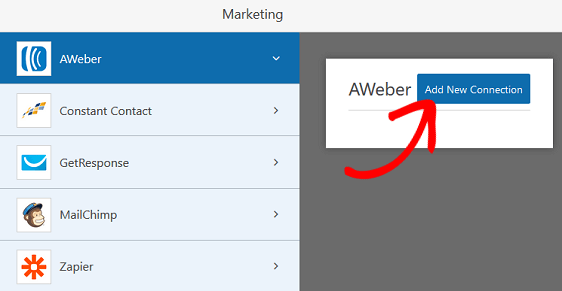 Once the connection is created, you’ll want to connect your form to your email list in AWeber. This is where all your subscriber information will go when site visitors subscribe. To do this, choose your email list from the dropdown menu labeled Select List. 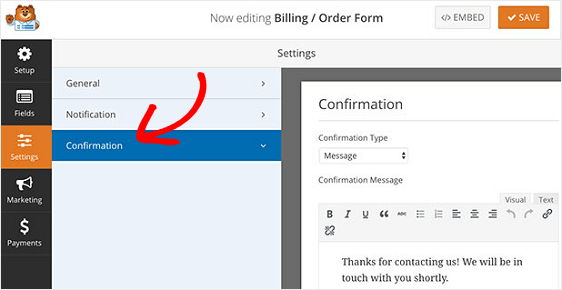 If you want additional information sent to your AWeber account, such as the subscriber’s name, choose those form fields from their respective dropdown menus. 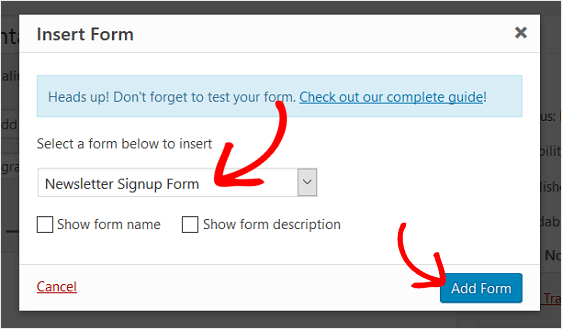 Now let’s take a look at how to configure your subscribe form’s settings. 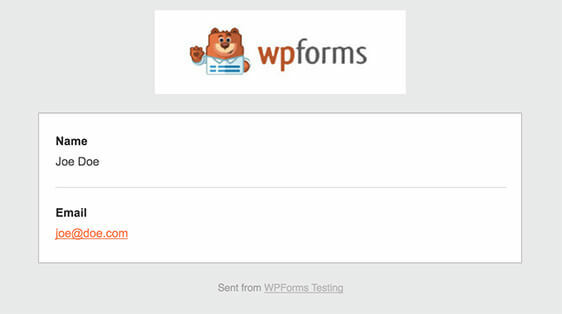 Let’s see how to set up a simple form confirmation in WPForms so you can customize the message site visitors will see when they subscribe to your email list. 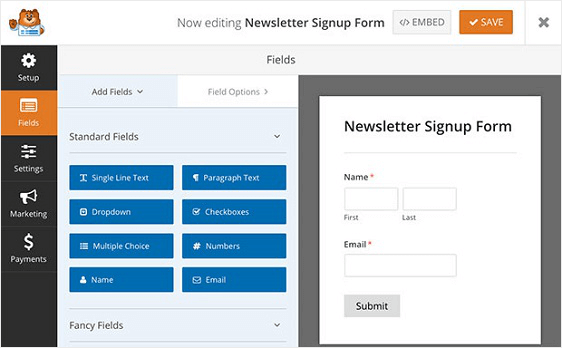 After you’ve created your AWeber subscribe form, you need to add it to your WordPress website. And there you have it! You now know how to create an AWeber subscribe from in WordPress so you can start building your email list and working on your email marketing strategies. Once you form solid relationships with your new subscribers, you might want to consider adding a form to your site so you can find out more of what your subscribers want from you. 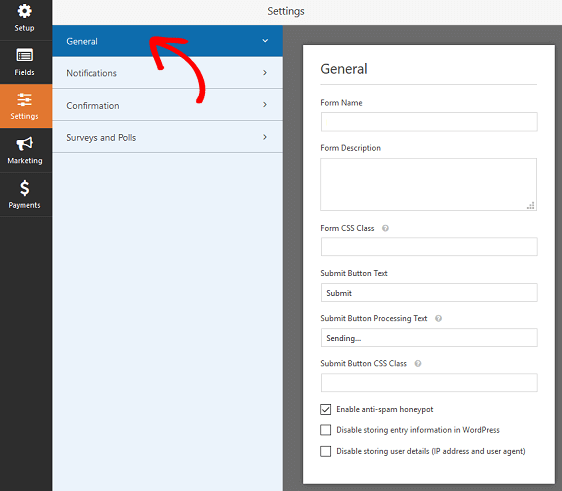 To do this, check out our easy to follow tutorial on how to create a survey form in WordPress.